Feel the thunder as Bobby Allison and Richard Petty engaged in their famous feud in the fall of 1972...Be ushered into victory lane with David Pearson as he wins 11 of 18 starts in 1973...Enjoy your top row seat as newcomers Darrell Waltrip and Dale Earnhardt reel off multiple NASCAR Winston Cup championships...Share the thrill of Richard Petty's 200th career win before the President...Ride with Bill Elliott as he captures the Winston Million in 1985 by winning a record 11 superspeedway races. 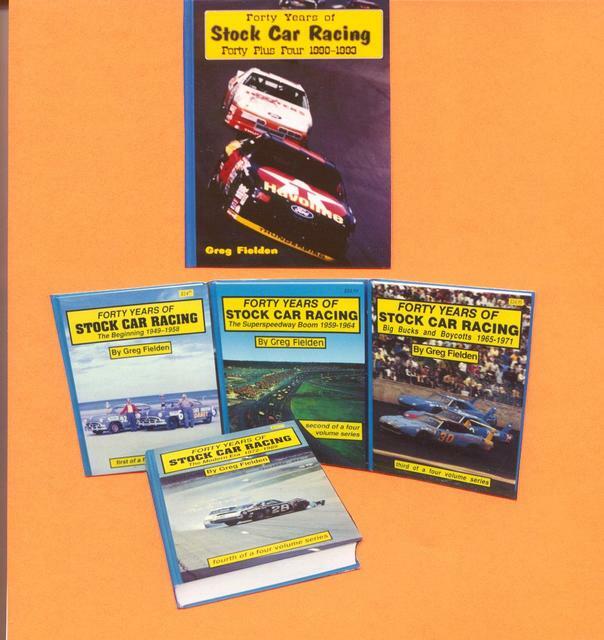 A deluxe Hardbound edition that features the Real Racers from NASCAR's most dynamic and exciting era. These hard-boiled speed merchants were wild characters with charming charisma. Their entertaining exploits of speed have been captured within these pages. A classic collection of photographs and entertaining stories grace this book......Authentic NASCAR Winston Cup records which will likely live forever are documented......A special colorful chapter featuring the fabulous winged Plymouth SuperBirds and Dodge Daytonas......a detailed account of the 1948 NASCAR season with results and nostalgic photographs. The Speed Zone is proud to announce the grand opening of yet another photo gallery for your viewing pleasure: The LeeRoy Yarbrough Gallery. Just click on the photo of LeeRoy below and check it out! Or, if you prefer, click on the wing car or the beach-road course to visit our other galleries: Winged Warriors and Beach-Road Days. Why not check out all three? We hope you have as much fun thumbing through our galleries as we had making them.